MYERS, LTG (ret.) 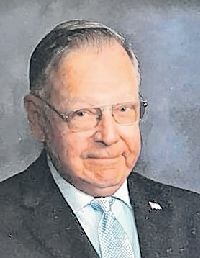 John Thomas age 83, of Tucson, Arizona, was called home to Our Lord on May 30, 2018 with his beloved wife of 60 years, Colette, by his side. He served his country in the U.S. Army for 35 years. He was preceded in death by his son, Michael A. Myers, and is survived by his four living children, John E. Myers, Gregory J. Myers, Ellen M. Scheeler, and Jennifer J. Thompson. He is also survived by 15 grandchildren. He served as Faithful Navigator for 2 years.